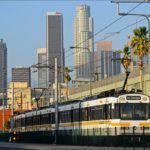 When Angelenos take to the polls on Tuesday, November 8, they will decide the trajectory of public transit and transit-oriented development in Los Angeles County for years to come. Measure M and Measure JJJ—which endeavor to expand transportation networks and safeguard affordable housing, respectively—both promise to advance the region’s sustainability goals while transforming where and how transportation is constructed in Los Angeles. 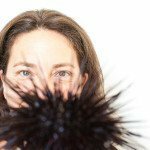 UCLA’s LENS magazine hosted the founder of the Dot Earth blog to discuss a shared goal: telling environmental stories in new ways. UCLA and Oregon State University scientists attribute the low levels to high temperatures caused by greenhouse gases and an enormous warm patch in the Pacific Ocean. Even after its restoration, the L.A. River will likely remain dominated by non-native species, says UCLA ecologist Brad Shaffer. Mark Gold criticizes the state’s decision to establish voluntary water conservation targets, and praises the continued drought reduction mandates of Los Angeles. In ‘Imagining Extinction,’ English professor Ursula Heise asks why people care about endangered species, why some animals become symbols and what that reveals about us. A new toolkit created by the UCLA Luskin Center for Innovation is designed to help communities navigate paths to improving the areas immediately around the river. UCLA graduate student Osceola Ward leads Outward Bound trips for teens in underserved communities to give them the tools to make their voices heard on environmental issues. Students in “Intro to Oceanography” spoof music videos for the sake of science. From the capuchin monkeys of Costa Rica to the Los Angeles area’s mountain lions, UCLA experts are developing new techniques and advancing knowledge. UCLA researchers have found that bisphenol S the chemical used to replace BPA in plastics, is just as harmful to the reproductive system and at lower doses. Kristina Louie, a UCLA postdoctoral student who suddenly and tragically died in 2004 after receiving her Ph.D.
A UCLA study crunched the numbers from more than 74,000 wine reviews in top magazines and, statistically speaking, environmentally friendly wine tastes better. Magali Delmas, an environmental economist at UCLA, has been focusing on finding the most effective strategies to motivate people to change their behavior and conserve electricity. UCLA lecturer Andy Rice introduces his students to entomophagy, bug eating, which may someday become a smart alternative to resource-intensive foods such as beef. Large predatory cats live among us, and they’re closer to human development than you might think. A UCLA-led research team used big data analysis and new levels of precision to study three decades of data. The new tool could be useful for studying other regions. The public perception is that lobbyists only fight for lax regulations that allow businesses to pollute more. Green firms lobby too. The L.A. Energy Atlas project, a first-of-its-kind interactive website, enables policymakers and the public to sort energy consumption and emissions by building size, neighborhood and other metrics. Mary Nichols, chair of the California Air Resources Board and a UCLA faculty member, is a fierce fighter for the environment. 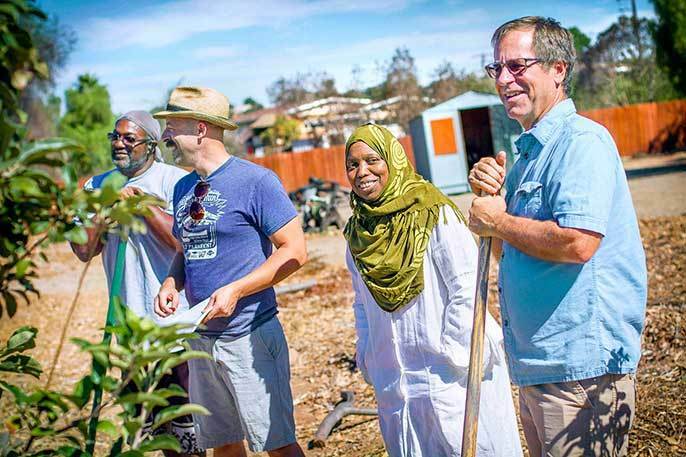 She has championed a difficult cause without succumbing to bitterness or wallowing in the polarization that has crippled Sacramento and Washington. One honoree, UCLA alumna Kelly Dumke, is already working on the front lines in communities in L.A. County against a well-known and entrenched enemy, early childhood obesity. California Governor Jerry Brown has been fighting for the environment for decades. He reflects on that history. 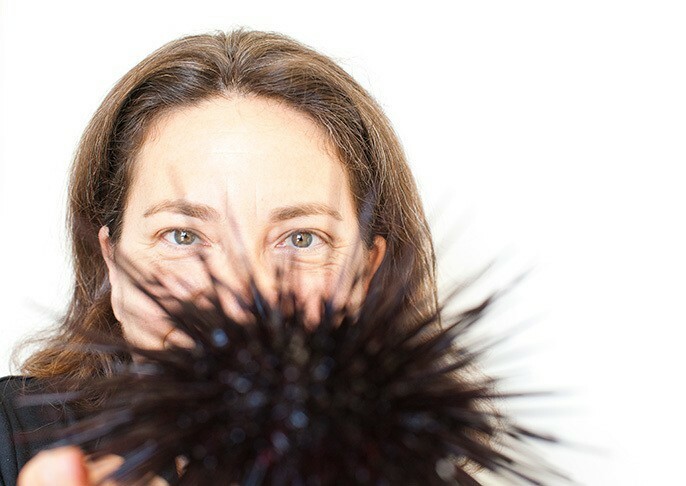 During a launch event for the new issue, editor-in-chief Jim Newton spoke to Mary Nichols, whose work as an environmental advocate is profiled in the magazine. Jon Christensen asserts that in analyzing the results of Proposition 84, which allocated more than $5 billion to parks and environmental resources, it’s clear that benefits come when priorities are clearly defined. U.S. Deputy Secretary of Energy Elizabeth Sherwood-Randall met Tuesday with stakeholders from across the energy ecosystem at UCLA’s Kerckhoff Hall to discuss how Los Angeles can meet its energy goals. UCLA professor co-authored a study to determine which kinds of built environment are best and worst at dispersing vehicle emissions. A policy report by the Institute of the Environment and Sustainability finds that Proposition 84 achieved some, but not all, of its ambitious goals. Jim Newton on how the well-intentioned California Environmental Quality Review Act can be misused, stifling economic development and, ironically enough, harming the environment. Students are taught about extinction in classrooms, but it’s their direct experience with nature that is rapidly disappearing, warns Peter Kareiva, director of the UCLA Institute of the Environment and Sustainability. L.A.’s only species of newt is showing signs of severe distress, troubling researchers and raising questions about the impacts of the drought and climate change. For more than 40 years, issues surrounding genetically modified organisms—GMOs—have been full of controversy, curiosity and confusion. On Tuesday, April 19, four experts will debate the environmental, social and health impacts of GMO foods. UCLA faculty voice: How a public university can help fix a city’s Achilles’ heel? Lee Cooper writes about how UCLA’s Sustainable LA Grand Challenge will leverage the university’s students to make Los Angeles energy and water independent. Measures put in place by the state have mitigated financial impacts that could be expected as costs passed along to electricity, natural gas and gasoline consumers. This year’s gala raised a record $1.75 million for UCLA’s environmental research, education and community projects and recognized Ted Sarandos, Wendy and Eric Schmidt, and Jeff Skoll. While many students head home or to resort locations during spring break, a group of UCLA students is monitoring the tides and rushing to the coastal bluffs of Palos Verdes to observe how El Niño is changing life in tide pools. As part of the United Nations World Water Day on March 22, UCLA will take part in Tuesday’s White House Water Summit that aims to raise awareness of water challenges in the United States. More than 1 in 9 people around the world do not have access to safe, clean drinking water, and the problem is expected to worsen due in part to climate change. The new building material called CO2NCRETE would be made from carbon captured from power plant smokestacks potentially eliminating a huge source of greenhouse gas emissions. While the experts agreed on the need to reduce greenhouse gas emissions, they sharply divided on how to achieve that goal at a recent discussion sponsored by the UCLA Institute of the Environment and Sustainability. 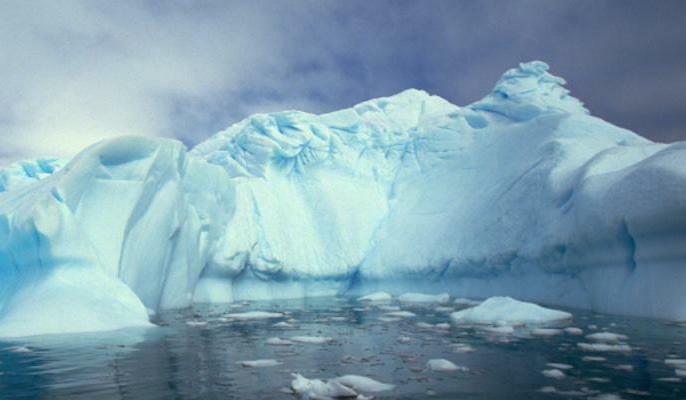 Previous research showed that ice shelves are vulnerable to even small increases in greenhouse gases, but the new study was the first to demonstrate that huge, land-based glaciers are also vulnerable. Brad Shaffer, director of the UCLA La Kretz Center for California Conservation Science, says the role of citizen scientists is important in helping scientists track changes in the environment due to climate. The UCLA Sustainable LA Grand Challenge’s first competitive research grants will go to 11 projects, ranging from developing lightweight solar panels that double as batteries to studying the costs of algae-based biofuels. Researchers found the association between ozone and mortality began at 35 parts per billion. The report recommends that a state agency and agricultural commissioners evaluate pesticide mixtures and implement regulations to more adequately protect human health. In this Q&A, Jon Christensen of UCLA and his colleague Adam Wolf discuss their study of how climate change affects plant species’ shifting in California. A UCLA-led study exploring California plant species’ shifts to higher elevations showed that non-native and invasive plants are moving fastest. 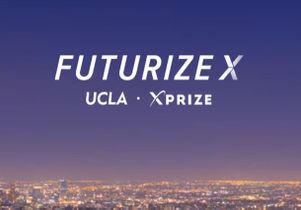 Six UCLA undergraduate students are vying for top honors in the inaugural FuturizeX Student Challenge, a competition sponsored by FuturizeX, a campus-wide initiative launched in partnership with XPRIZE to showcase breakthrough technologies and inspire the next generation of innovators. Mark Gold writes that we’re going to lose tens of billions of gallons of water to runoff because Los Angeles’ infrastructure is not designed to capture and store rainfall. Roy will serve as the inaugural director of the new UCLA Luskin Institute on Inequality and Democracy. 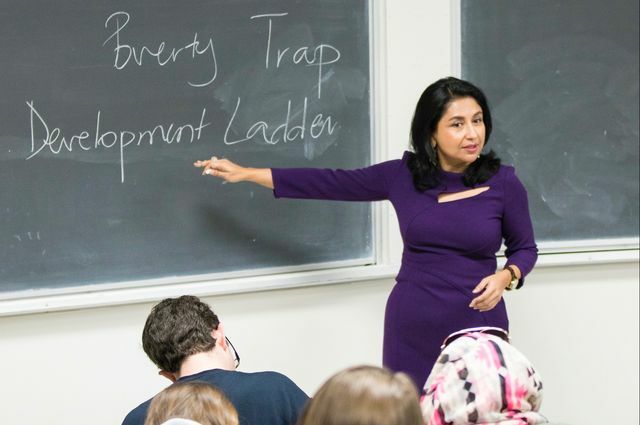 Robinson shared the story of her awakening to the global impact of climate change on the world’s impoverished countries and communities at a lecture hosted by the UCLA Luskin School of Public Affairs Tuesday. The paper was published by UCLA Law’s Emmett Institute on Climate Change and the Environment, the Sabin Center for Climate Change Law at Columbia Law School and the Institute for Policy Integrity at NYU School of Law. Among the topics discussed at the inaugural UCLA-Tata Global Forum in New Delhi were sustainable megacities, the integration of solar power into smart energy grids and sustainable biological fuels. There are more than 100 research projects that will help conserve, invent and incentivize the county to fully renewable energy, 100 percent local water and a healthier ecosystem. The plan is a key step in UCLA’s Sustainable LA Grand Challenge, which aims to move the county to 100 percent renewable energy, 100 percent local water and enhanced ecosystem health by 2050. Global climate models vary in how much they show rain and other precipitation changing due to climate change. UCLA researchers discovered a way to reduce these differences by 35 percent. The $1.75 million grant will be used to create a toolkit to analyze genomics data, allowing researchers to understand how threatened populations respond to changes in habitats and climate. Professor Jon Christensen praises Gov. Jerry Brown for his deft ability to mix doomsaying predictions with pragmatic solutions as he strives to get Californians to mitigate the causes and effects of climate change. A UCLA–UC Berkeley report finds that the state could produce a significant amount of low-carbon fuel needed to meet California’s transportation needs. All eyes are on Paris as the 2015 UN Climate Conference begins. California is well-represented, with many from the state participating, including five UCLA faculty and seven students. From less electricity generated by coal to more whales in California, UCLA Institute of the Environment and Sustainability director Peter Kareiva offers things to be thankful for. The study, by researchers at the California NanoSystems Institute, could be an important step in the effort to satisfy the world’s need for clean water. In show of support for action at upcoming global climate talks, UCLA and UC pledge to combat climate change. Ten University of California faculty were honored today (Nov. 19) for demonstrating outstanding leadership on President Janet Napolitano’s systemwide initiatives, which range from increasing student access and diversity, enhancing campus entrepreneurialism, achieving carbon neutrality, promulgating healthy and sustainable food systems around the world, and furthering UC’s engagement with Mexico. The analysis is one of a series of studies led by Daniel Blumstein that address questions about wild animals’ fear responses to humans. UCLA faculty voice: How much energy do buildings use? A team of scientists led by professor Stephanie Pincetl is beginning to measure the efficiency of homes and offices throughout Los Angeles. Eating local is good. All corporations are bad. Population growth is the problem. Peter Kareiva, director of the UCLA Institute of the Environment and Sustainability, implores people to question assertions like these. Survival rates of some backyard favorites are half of what they used to be. Health concerns are a big motivational factor when it comes to being green. 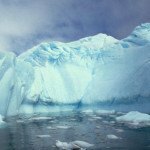 50 UC climate change scholars offer 10 urgent solutions to “flatline” global warming by 2050. Jon Christensen writes that to take these solutions from UC-wide to a global scale, we’ve got to start now using a combination of technology, outreach and policy. UCLA environmental professors Magali Delmas and Susanna Hecht are among the climate experts, politicians and industry leaders gathering in San Diego today for a University of California climate change summit. AirForU is useful for anyone who sees a hazy skyline and wonders how safe it is to breathe outside air. Law professor Mary Nichols chronicles the 20-year saga to remove the veil of smog over Los Angeles. Discovery indicates that life may have begun shortly after the planet formed 4.54 billion years ago. The presence of humans changes the way animals behave, and those changes may make them more vulnerable. Study by UCLA-led international team restores consensus after controversial 2014 paper questioned direct effects of climate change. The particles are used in a wide range of consumer products for their ability to kill bacteria. But that benefit might be coming at a cost to the environment. By combining never-before–released data from energy utilities with public data, UCLA researchers created a database that provides an unprecedented look at the energy-use landscape. Patrick Allard, a UCLA Fielding School of Public Health faculty member, has found a new approach to examining the safety of chemical compounds that addresses shortcomings in traditional methods. A “Thinking L.A.” event, jointly sponsored by UCLA and Zocálo at the RAND Corporation Tuesday evening, explored the roots of the fervor surrounding fracking in California. Researchers will use a $600,000 donation from First Solar to create “genoscape” maps of migratory bird populations. The models predict that the area burned by Santa Ana fires will increase by 64 percent and the are burned by non-Santa Ana fires will increase by 77 percent. At a “Thinking L.A.” event co-hosted by UCLA and Zócalo, four panelists discussed the importance and difficulty of implementing desalination plants, water-recycling facilities and other tools to help California make better use of its water resources. Law professor Cara Horowitz on what legal challenges opponents of President Obama’s new Clean Power Plan will use to try to block its implementation. Researchers from the UCLA Institute of the Environment and Sustainability call for a federal ban on salamander imports to prevent a deadly pathogen from coming here. Staff meteorologist James Murakami has been forecasting the weather for Westwood and the surrounding region for 33 years. Catalina eddy? June gloom? Santa Ana winds? UCLA staff meteorologist James Murakami defines common Southern California weather terms. The DNA-based discovery means the biological family Canidae has 36 members, not 35. Mark Gold writes in the L.A. Times that to meet the mayor’s goal of reducing imported water by 50 percent by 2025, we must all pay more to upgrade infrastructure and invest in new projects. The UCLA Center for World Health and the LA5 Rotary Club brought together a panel of experts to talk about the failing health of the Earth and what mega-cities can do about it before an audience of 200 business peoplein downtown Los Angeles. Researchers at the UCLA Institute of the Environment and Sustainability recommend that state officials adopt best practices for monitoring leaks and measuring water loss. Researchers from UCLA and the Jet Propulsion Laboratory found that extra heat from greenhouse gases has been trapped in the subsurface waters of the Pacific and Indian oceans. UCLA Residential Life’s Sustainable Living Community and the Education for Sustainable Living Program at UCLA have won awards given to honor innovation at UC and CSU campuses. The Congo Basin Institute in Cameroon will provide a one-of-a-kind center to address the challenges of food and water security, climate change, biodiversity loss, public health and emerging diseases. Glen MacDonald writes that rising temperatures, groundwater depletion and a shrinking Colorado River mean the most populous U.S. state will face decades of water shortages and must adapt. Jon Christensen writes that artist Michael Heizer’s monumental sculpture called “City” best embodies the Western ethos of humanity’s role shaping and adapting to the vast open expanse. The new artificial turf on the intramural field and other places combined with drought-tolerant landscaping from five large projects, could save 11.3 million gallons annually. Innovative maps in the new “Water Atlas” compiled by the UCLA Luskin Center for Innovation show which communities face what types of threats. A new report from UCLA School of Law’s Emmett Institute on Climate Change and the Environment provides recommendations on how to harness AB 2516 to enhance coastal climate change preparedness in California. When the Griffith Park mountain lion crawls under someone’s house, or a brother and sister cross a freeway, Seth Riley is at the top of the list of scientists who can give the inside details. UCLA has been recognized in three categories of the 2015 Energy Efficiency and Sustainability Best Practice Awards Competition from the California Higher Education Sustainability Conference. Despite progress, dirty air and water are just the beginning of the region’s environmental troubles. The findings, which are believed to be the most comprehensive environmental report card for any region in the nation, show the county needs tutoring to bring up its grades. UCLA researchers looked at 22 indicators to determine grades in six main categories — water, air, ecosystem health, waste, environmental quality of life, and energy and greenhouse gases. UCLA students are going dark for Earth Hour on March 28, by turning off the lights free for an hour to join the international event raising awareness about climate change and energy usage. Behind the Anderson School of Management lies a hidden treasure that often goes unnoticed. What’s left of the Stone Canyon Creek, which once ran through the UCLA campus, is the only part of the creek that remains naturally uncovered. Volunteers work with the Santa Monica Bay Restoration Foundation once a month to help restore the creek and maintain its beauty. Associated Students UCLA restaurants may begin composting leftover food and paper packaging this year in locations such as Ackerman Union and Lu Valle Commons. After nearly a month of turning off the lights, doing laundry with cold water and taking the stairs instead of the elevator, UCLA students are currently a close second in a competition among residence halls to see which UC campus can save the most energy. Nurit Katz, UCLA’s inaugural sustainability officer, took the post of new executive officer of UCLA Facilities Management on Feb. 1. California could better coordinate transportation spending to support improved maintenance of existing roads and improved public access to walking, biking and transit infrastructure. CaliParks.org aims to bring parks to everyone by making finding nearby parks and activities as easy as pulling out your smartphone. The number of cities across the globe that experience heat waves has increased since the 1970s — as has the frequency of those heat waves — as the heat island effect amplifies global warming. A team of life scientists has found part of the answer: The amount and intensity of striping in different zebra populations can be best predicted by temperature. As the UC system marches toward its goal of carbon neutrality by 2025, UCLA is doing its part by using less energy in buildings, converting half of its fleet to alternative-fuel vehicles and adding LEED-certified green buildings. Expanding customer access to energy data can bring cleaner, more efficient power to Californians, save money and boost emerging clean technologies, according to a new report by the Climate Change and Business Research Initiative, a partnership between UCLA and UC Berkeley schools of law. UCLA will receive $7,500 from the University of California Office of the President for a new sustainability fellowship and internship program announced Wednesday. His first assignment was to lead a relief initiative for Haiti in the aftermath of its 2010 earthquake. His actions, along with those of supporting American organizations, were part of a humanitarian effort in which about 50 percent of American families donated to the cause. A new UCLA-led study illuminates a vast network of little understood rivers and streams flowing on top of Greenland’s ice sheet. Glen MacDonald writes that in today’s world honoring the legacy of the revered conservationist means thriving urban wilderness areas and redefining environmentalism for California’s changing demographics. The year 2014 featured the debut of a multi-year fundraising campaign, research breakthroughs, stunning achievements by students and faculty — and an unexpected flood that impacted the campus for months. We call that a momentous year. Climate model simulations of the 21st century show little change in total precipitation, but more rain instead of snow, posing flooding risk and shortening chance to capture water. Using UCLA environmental research, the Los Angeles City Council passed a motion to develop a program to improve energy and water conservation efforts in city buildings that consume the most resources. Two UCLA School of Law professors say the recently announced agreement between China and the United States to cut pollution could be a game changer. At a climate change conference on campus today, UCLA researchers and other speakers are discussing the challenges facing cities around the world. Plants worldwide are more sensitive to drought than many scientists realized. The research may improve predictions of which plant species will survive climate change. New York City croaker settles nearly 80-year-old question: New species or same old frog? A UCLA scientist was part of a team of that resolved an 80-year-old mystery about whether frogs in and around New York City were, in fact, their own unique species. UCLA joins the Billion Dollar Green Challenge with a $15 million fund dedicated to sustainability projects. The savings created by each project will help support the next. The Burkle Global Impact Initiative, which was created at UCLA to educate the public about international and humanitarian affairs by working within the creative community, helped produce a video for the United Nations Climate Summit that took place Tuesday in New York. Thomas Smith of the Institute of the Environment and Sustainability says the next great extinction could be upon us, but humans can help threatened species survive. Old batteries will likely have 70 to 80 percent capacity remaining after we replace them, potentially providing a future energy source. Bruins and off-campus visitors tooled around north campus on Tuesday in Teslas and other electric vehicles during UCLA’s Drive an Electric Vehicle event, part of National Drive Electric Week. Guests test-drove the Nissan LEAF, Chevy Volt and other vehicles. UCLA atmospheric scientists were instrumental in the creation of the Santa Ana Wildfire Threat Index, which will help classify the fire threat potential of the Santa Ana winds. Report by the Climate Change and Business Research Initiative at the UCLA and UC Berkeley law schools suggests that used electric vehicle batteries may be a promising solution to California’s search for cheap energy storage. Drug-resistant diseases, pesticide-resistant bugs and animals threatened by climate change are signs of human-driven evolution getting out of control. A multi-university team calls for solutions. Next month, Professor Stephen Hubbell will become the first American in 40 years to receive a Scientific Achievement Award from the International Union of Forest Research Organizations. California has reaped huge benefits from the law that directs oil and gas drilling royalties to water and land protection, and Congress must commit to reauthorizing it. 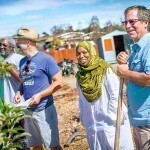 Six proposals led primarily by UCLA units are vying with 261 others for grant funding by the Goldhirsh Foundation, which is hoping to jump-start projects that will make L.A. the best place to play, to connect, to live, create and learn by 2050. Environmental, atmospheric and oceanic researchers at UCLA will create a first-of-its-kind model of how coastal waters will react to climate change this century. Efforts to hit Gov. Brown’s water reduction target could have unintended, and potentially harmful, consequences for the health of Californians and their communities. UCLA geographer Judith Carney is part of an international team of interdisciplinary researchers who have sequenced the complete genome of African rice (Oryza glaberrima). The findings were reported online Sunday in the scholarly journal Nature Genetics. UCLA, EDF identify opportunities to curb climate pollution, spur clean energy jobs in L.A.
Nearly 4 in 10 Los Angeles County residents live in environmentally vulnerable communities burdened by air pollution and other risk factors, according to a study by the UCLA Luskin Center for Innovation and The Environmental Defense Fund. Glen MacDonald, formerly the director of UCLA’s Institute of the Environment and Sustainability, is the first holder of a new chair named after legendary conservationist John Muir. Mark Gold is now acting director of IoES. Water researchers from UCLA, the Natural History Museum and elsewhere are helping the region understand issues, history and possible solutions related to the drought. A discussion series featuring panels of experts begins July 10. Janet Napolitano stops at UCLA to share news of a major initiative intended to marshal resources across the UC system to address global food needs. Among the group’s other recommendations: household water meters that measure indoor and outdoor water use separately, and stronger incentives for drought-resistant landscaping. UCLA faculty voice: Could drinking seawater be good for us? Professor Yoram Cohen suggests that water reclamation, water recycling and reuse could become very important for health and conservation in the future. The Cal EcoMaps site, launched this month, features a detailed interactive map and environmental impact ratings for 172 industrial facilities in Los Angeles County. Daniela Cusack and her fellow scientists who have been working for two years on finding a strategy to reduce global warming have concluded that we cannot engineer our way out of climate change. A $500,000 gift from Los Angeles County Supervisor Zev Yaroslavsky will add a laboratory to the La Kretz Field Station, located in Malibu. For the fourth straight year, the hospitals in Westwood and Santa Monica have been recognized by Practice Greenhealth for their efforts to recycle, eliminate mercury and reduce medical waste. A new report by professors from UCLA and five other universities concludes that climate engineering won’t suffice, and we have to cut down the amount of carbon being released into the atmosphere. Alex Hall, a professor in UCLA’s Department of Atmospheric and Oceanic Sciences and Institute of Environment and Sustainability, appears in “Years of Living Dangerously,” airing June 2 on Showtime, and explains how climate change will impact our lives. Alex Wang and Benjamin van Rooj explore the consequences and goals of China’s new environmental protection law in an op-ed in the New York Times. April 23, 2014 With the worldwide celebration of Earth Day taking place this week in more than 190 countries, a number of organizations have taken note of UCLA’s commitment to sustainability and environmental excellence. April 23, 2014 David Lloyd Johnston will address how the two nations can work together to promote innovation across disciplines and borders. April 15, 2014 UCLA’s newest dining hall, Bruin Plate, has been recognized for sustainable food service in the 10th annual Higher Education Energy Efficiency and Sustainability Best Practice Awards competition. 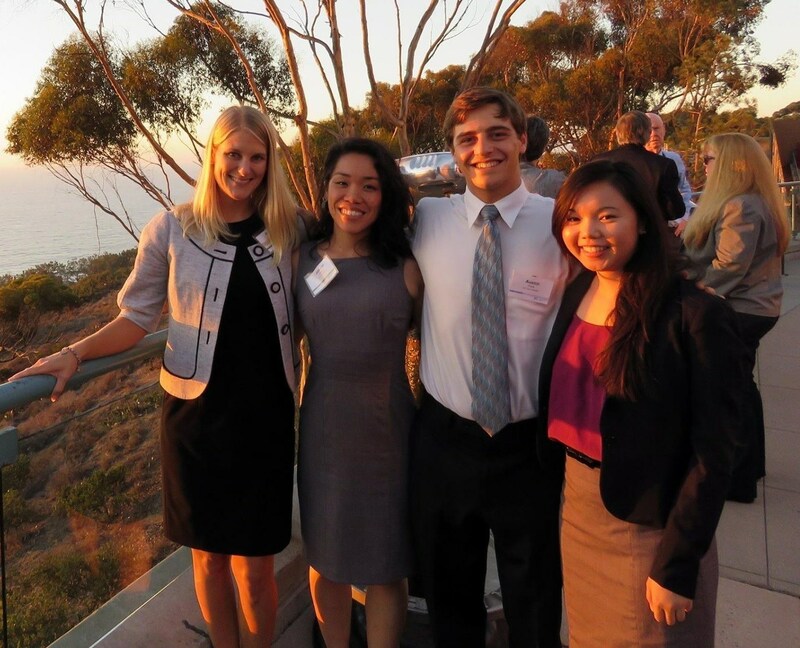 April 10, 2014 The gift will support research and policy fellows; fund student scholarships and a public service fellowship; support outreach, events and speaker series; and provide resources to attract faculty. April 10, 2014 Professor Thomas Smith of the UCLA Center for Tropical Research, Institute of the Environment and Sustainability and Department of Ecology and Evolutionary Biology will hold a lecture about the Center’s efforts of conservation in Central Africa. April 03, 2014 Patients, staff and visitors can now enjoy a healthier version of the traditional burger-and-fries lunch. The menu additions further the medical centers’ focus on healthier eating. April 03, 2014 Promoting healthy lifestyle choices, UCLA’s Healthy Campus Initiative has funded 13 new projects proposed by student organizations. March 25, 2014 Hosted by Jeanne and Tony Pritzker, the star-studded event raised $650,000 to support UCLA Institute of the Environment and Sustainability research and education initiatives. March 13, 2014 The researchers used an innovative technique called clumped isotope thermometry to help determine temperature patterns dating to the last ice age, 20,000 years ago. March 10, 2014 Engineering professor Yoram Cohen’s Gray2Blue system cleans up a home’s gray water for reuse in irrigating the garden. It could save Californians billions of gallons of clean water every day. March 07, 2014 The exhibition examines the conceptually complex and visually rich relationship between individuals and communities in Africa and the land on which they live. 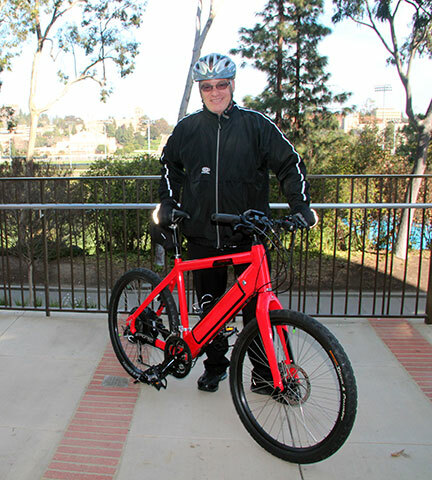 March 03, 2014 Kevin Aiello, executive chef of Bruin Plate, one of the first health-themed university dining halls in the country, rides an electric bike to campus daily from his home in Manhattan Beach. The bike must be pedaled so it can go twice as fast — speeding up to as much as 30 miles an hour. UCLA Magazine: Can we ensure the future of water?